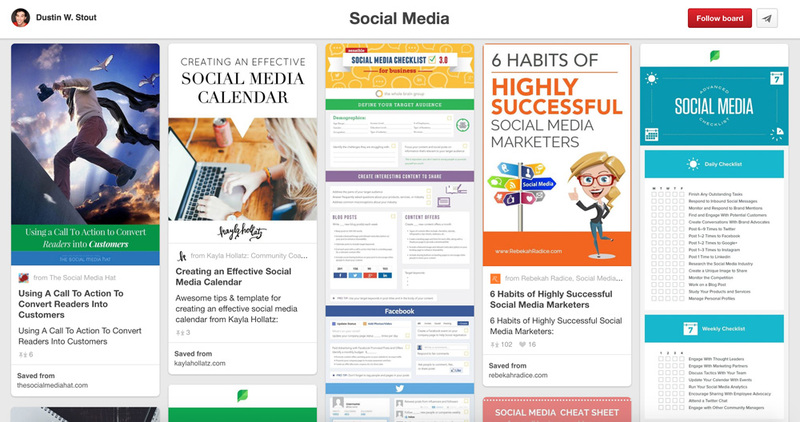 Want to keep a lot of great tips about social media marketing in one place? Do you also prefer to see the pictures than read the text? 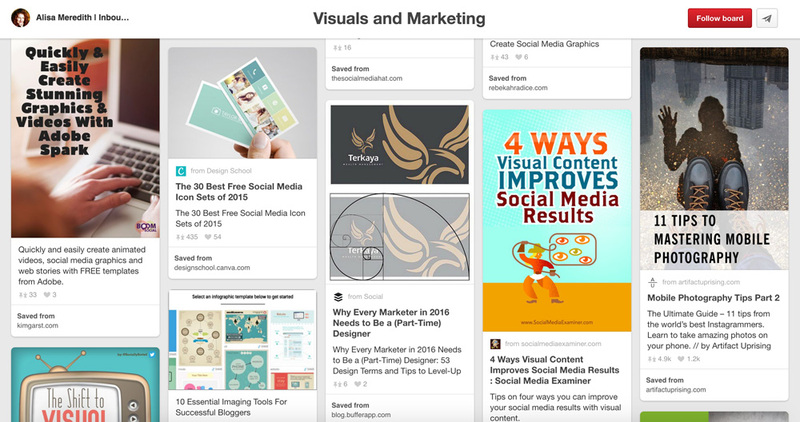 The benefit of Pinterest is that it’s all about visuals. Even the boring lines of text turned into the lovely, easy to read pictures there. But sometimes when you find the board, there is only one pin or the bunch of pins about different topics, which are far away from the name of the board. 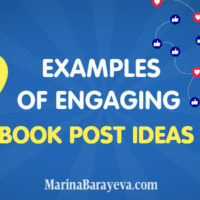 How it would be great to put the serious and maybe complicated subject as social media marketing to the graphics and have everything well organized. Well, some people did a good job on it. 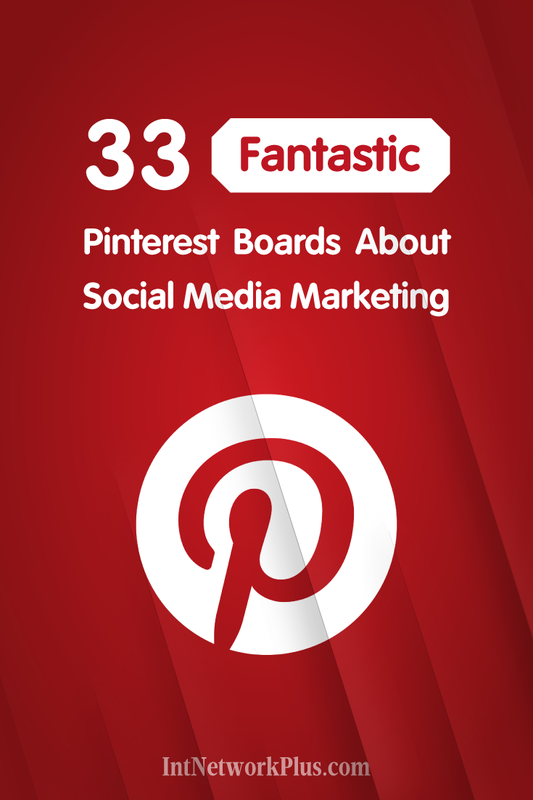 Here are 33 Pinterest boards about social media marketing. Worthwhile content structured by the themes. Check them out. 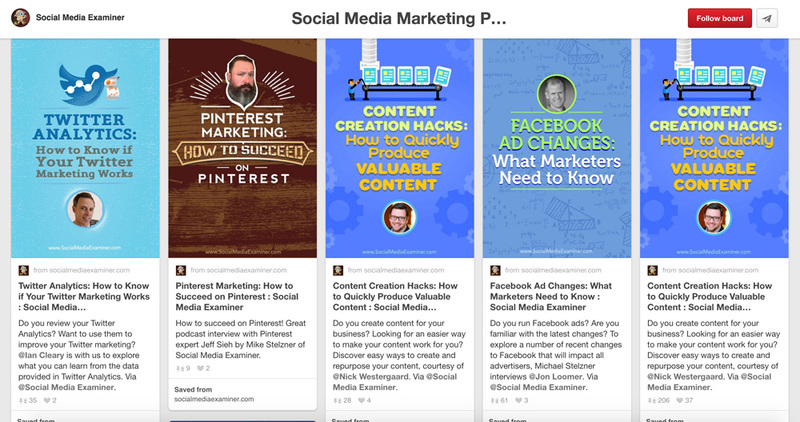 Pinterest board from Peg Fitzpatrick and Jeff Sieh. Social media tips for small business owners and entrepreneurs. 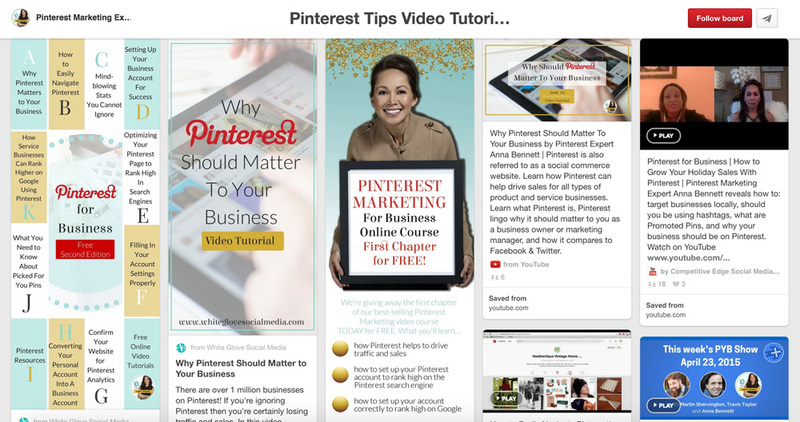 Pinterest board from Kim Garst. Tips, tricks and strategies to help small business owners drive sales using social media. Pinterest board from Dustin W. Stout. 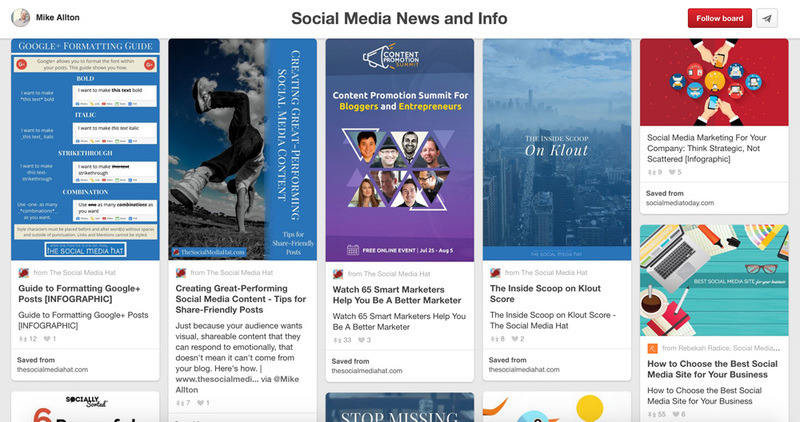 Everything Google+, Twitter, Pinterest, Facebook, Blogging, Tumblr, Instagram, Pressgram, Vine, and any other social media platform imaginable. Pinterest board from Rebekah Radice. 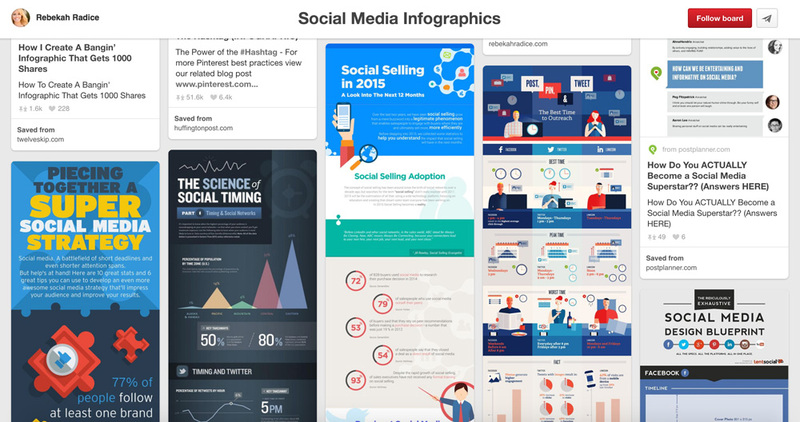 More than 400 Infographics looks like a visual social media marketing online book. Pinterest board from Mike Allton. 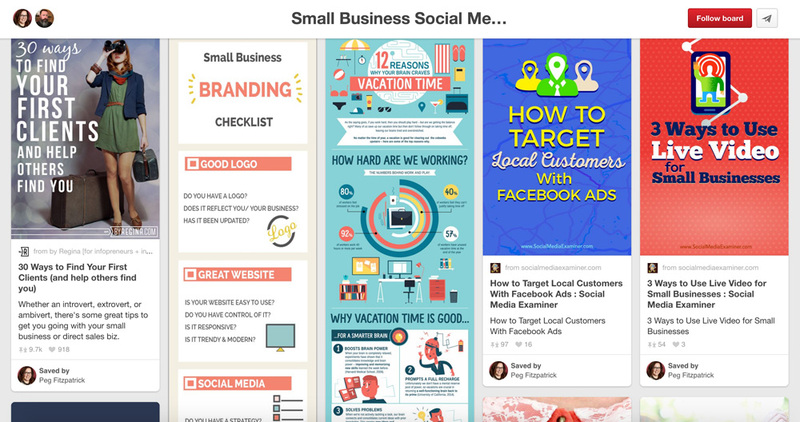 News, articles, and Infographics to help small businesses get the most out of social media. Pinterest board from Emma Lenhart. 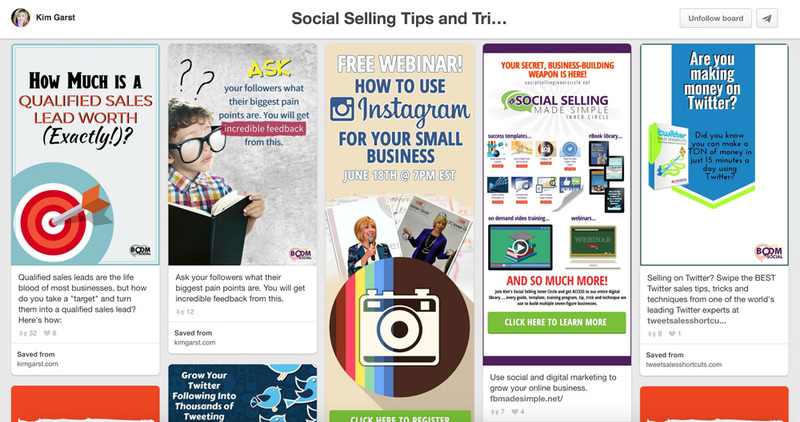 Social media marketing tips, how-to tips, social media checklists and more. 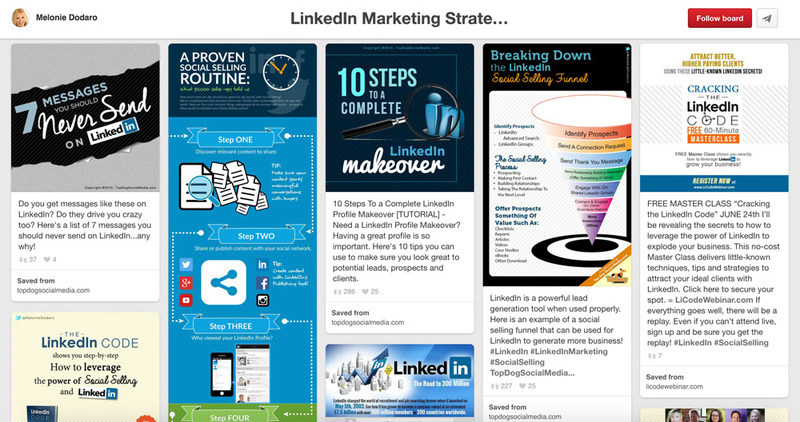 Pinterest board from Social Media Examiner. Michael Stelzner, a founder of Social Media Examiner, interview experts about social media marketing. Learn how successful businesses use social media, discover new tactics and get actionable tips to improve your social media marketing. Pinterest board from Anna Zubarev. 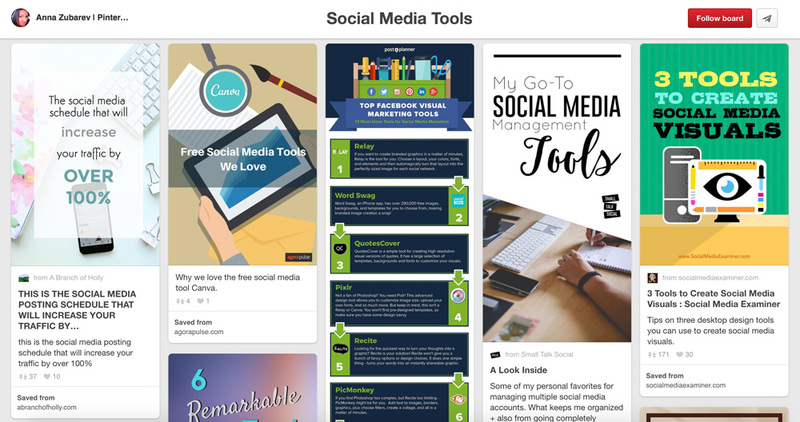 Discover many social media tools on this Pinterest board, which will help with your daily social media efforts. Learn more about how you too can boost your social media presence. Social media marketing for creative entrepreneurs, makers, artists, and anyone, who wants to have more followers. Pinterest board from Constant Contact. 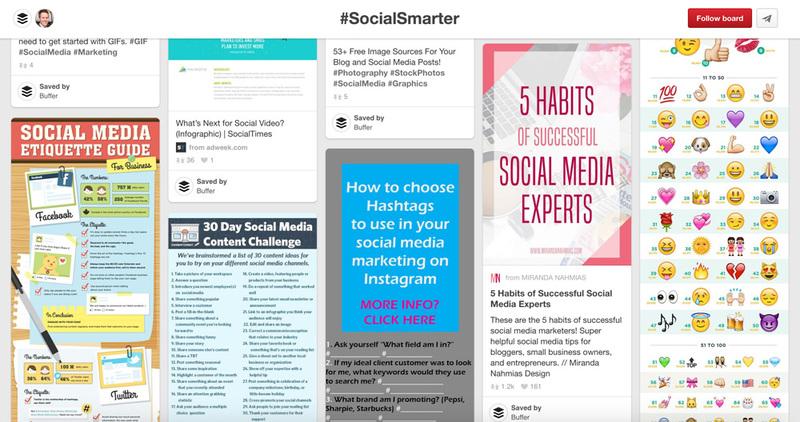 Maybe you just started out or consider yourself as a pro – this board will help your small business with social media. 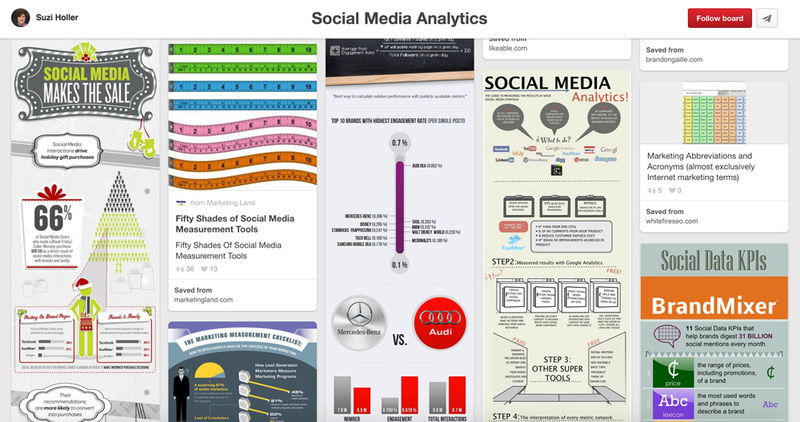 Social media tips, tricks, and Infographics. Google yourself and see what comes up! Your LinkedIn profile will be on the first page. 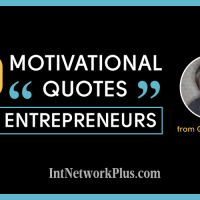 If you use it right, it is a powerful social network for growing your business. That’s why it is so vital to have a reliable and proficient LinkedIn presence. 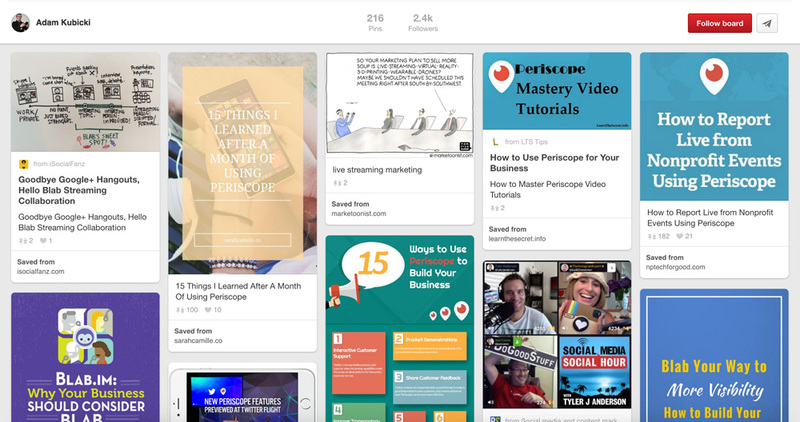 Pinterest board from Jeff Sieh. 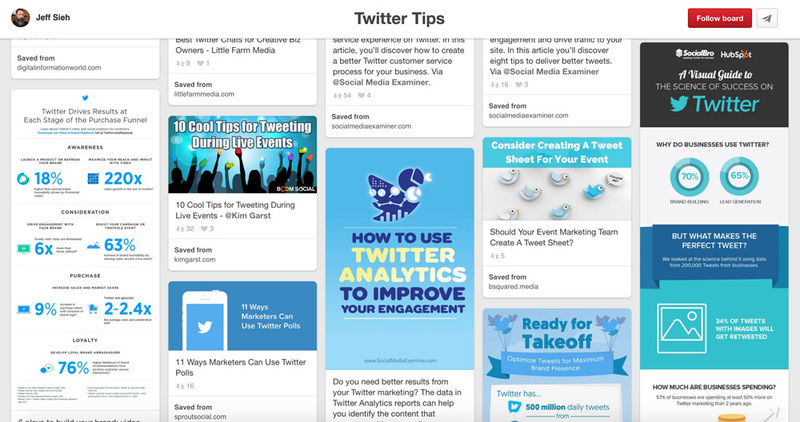 This is one of those boards that just full of cool Twitter tips. Pinterest board from Pauline Cabrera. Looking for increasing your Facebook visibility? 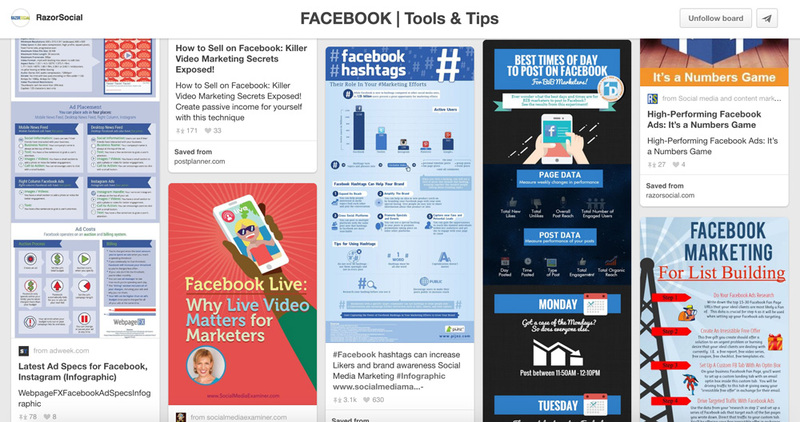 Here are some great Facebook marketing tips. 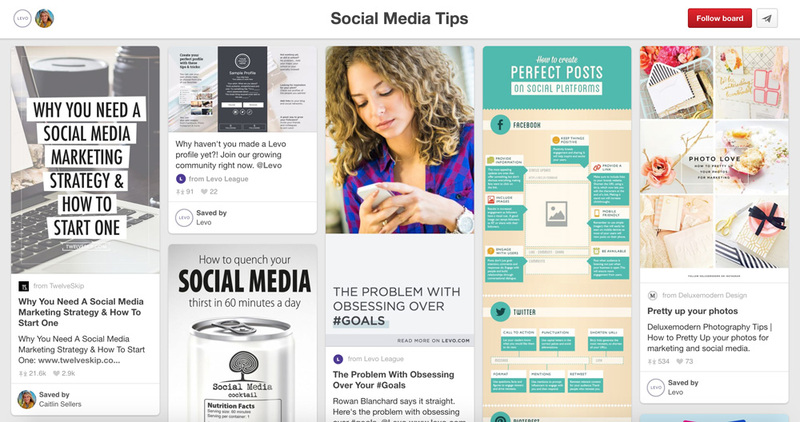 Pinterest board from Razor Social. This board is an incredible resource for learning about Facebook. Pinterest board from Donna Moritz. 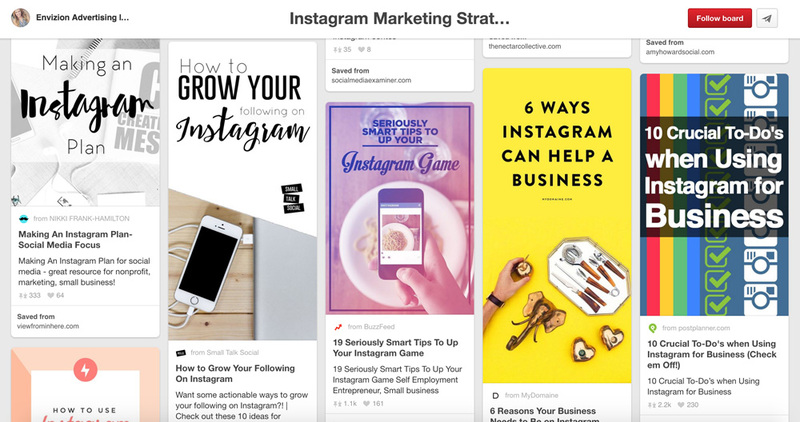 Tips to help with Pinterest marketing for small business. Pinterest board from Vincent Ng. 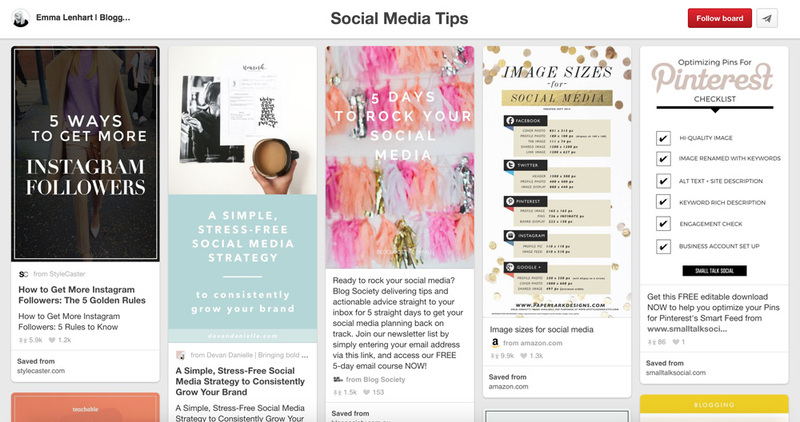 Get more leads by adjusting your Pinterest pins and boards. 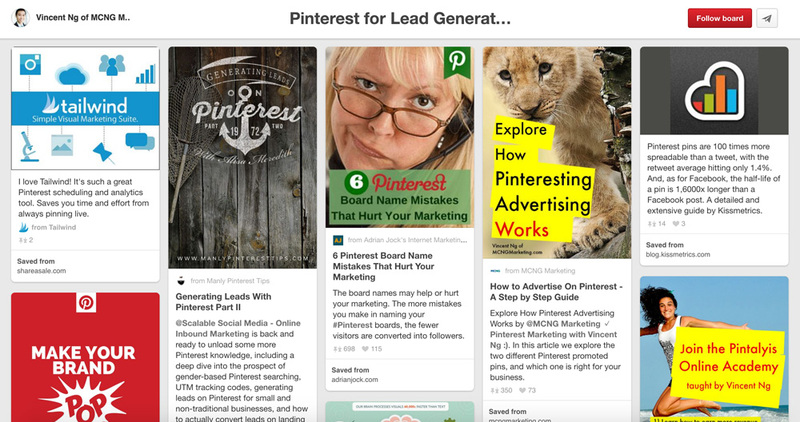 Using Pinterest for lead generation can be tremendous when executed properly. 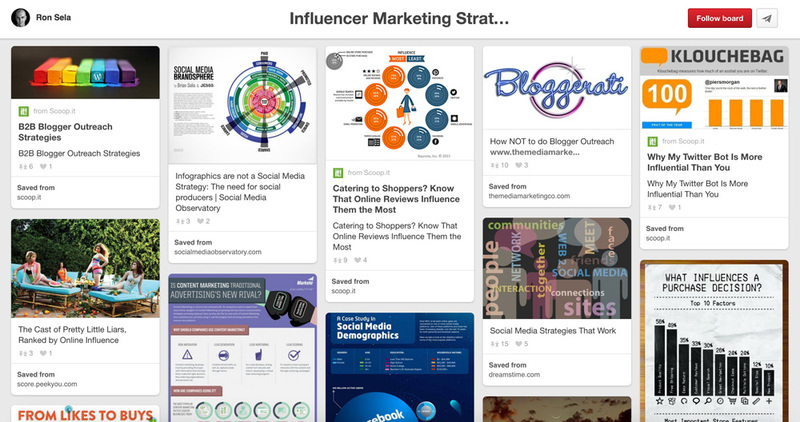 This board also covers SEO, visual optimization, and B2B marketing. Pinterest board from Anna Bennett. 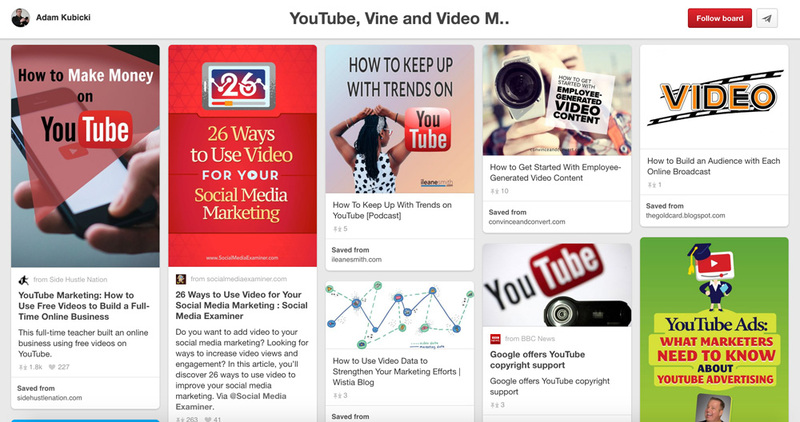 The video tutorials for everyone who wants to maximize their Pinterest outcomes. 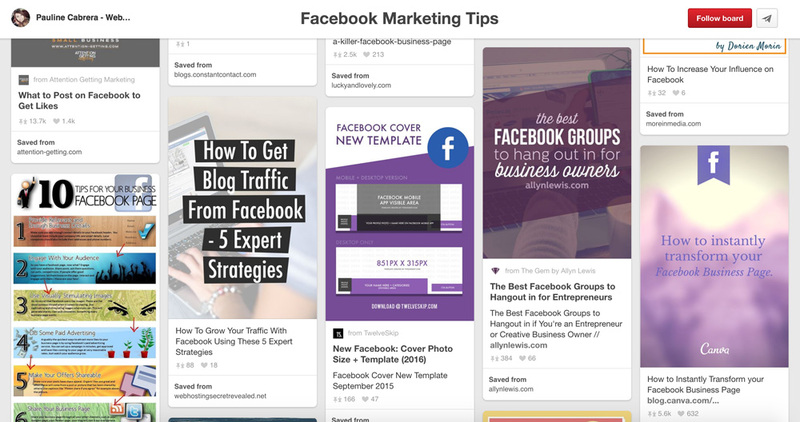 Pinterest board from Neal Schaffer. If you market to younger demographic, Snapchat is where your target audience spends a lot of time. Although it’s relatively new, it has become more and more important for social media marketing. Looking for design inspiration? 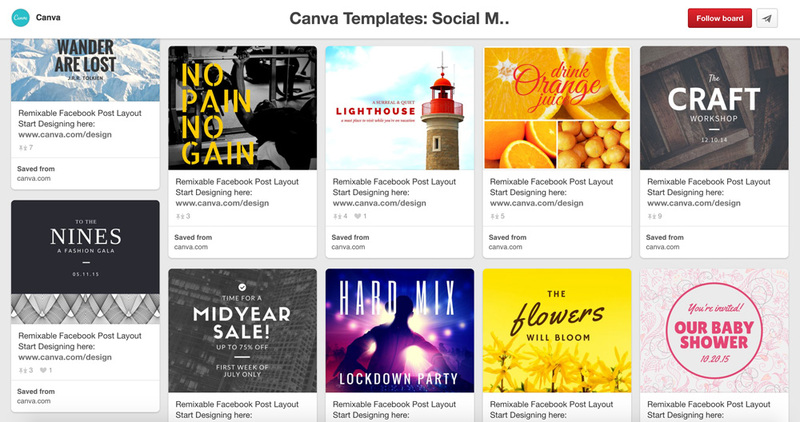 Try remixing these Canva layouts. Pinterest board from Alisa Meredith. 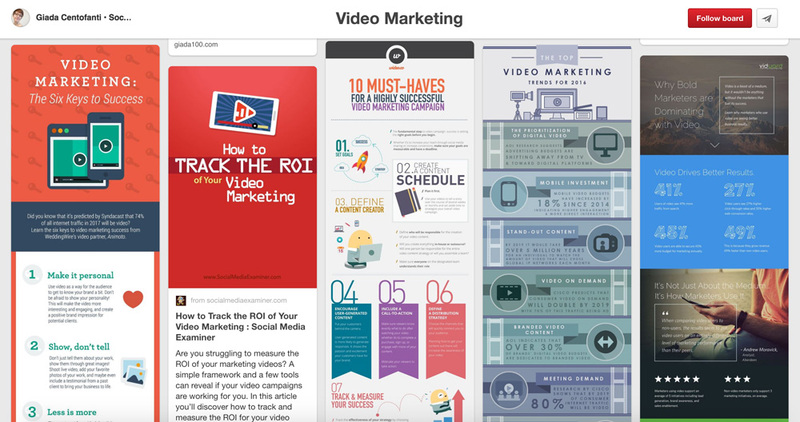 Visuals are hugely effective in marketing, and especially on social media. 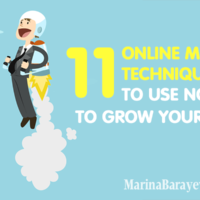 Learn the strategies, tips, and tools you need to succeed! 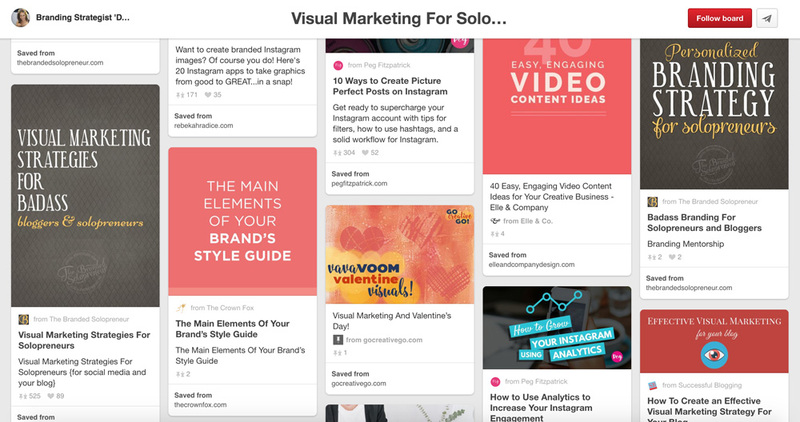 Pinterest board from The Branded Solopreneur. Visual mastery for heart-centered solopreneurs, DIY designers, bloggers and small business owners: Everything you need to know to align your branding and visual content with a purpose, passion, and authenticity. 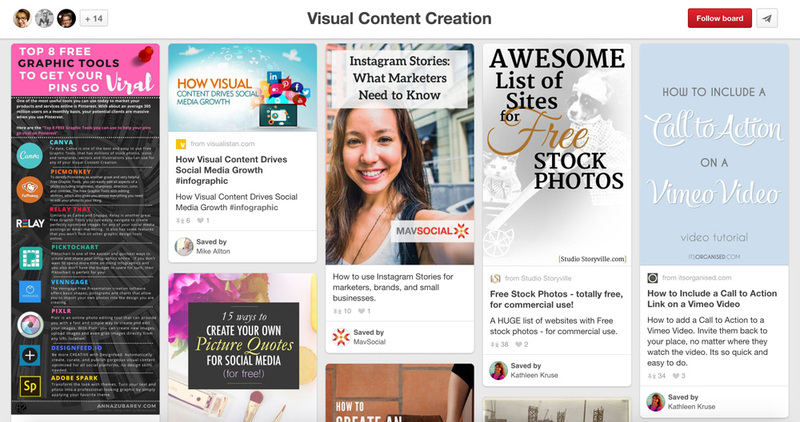 Pinterest board about visual content. Create the best visuals that you can with these tools and tips. Pinterest board from Wade Harman. 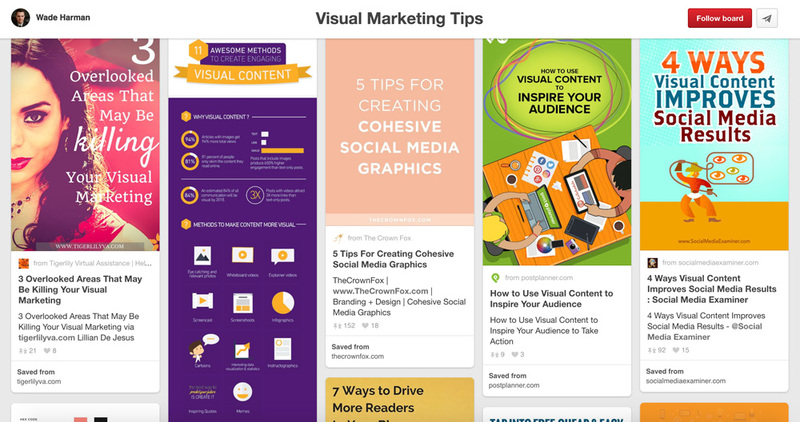 Visual marketing tips to build your marketing strategy. Pinterest board from Adam Kubicki. 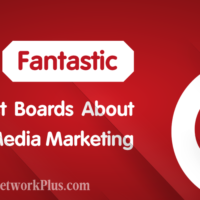 Social media board with over 900 pins about YouTube, Vine, and video marketing. Pinterest board from Trena Little. 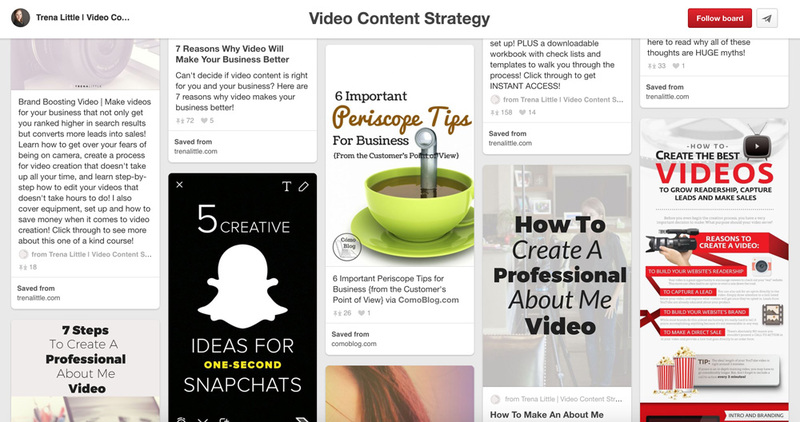 Video content strategy, tips, ideas and how video can explode your website traffic. Pinterest board from Giada Centofanti. Video marketing for small businesses, small organizations, and solopreneurs. 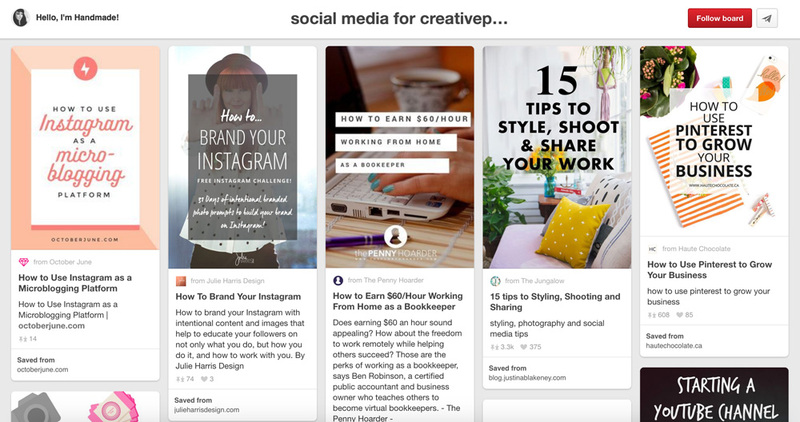 Pinterest board from Five Points Digital Media. 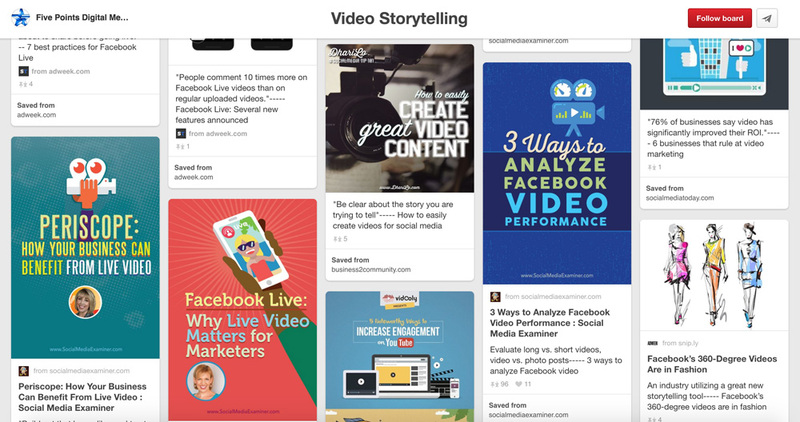 The video is an excellent way to tell your story. Here are some reasons why. Do you use Periscope? 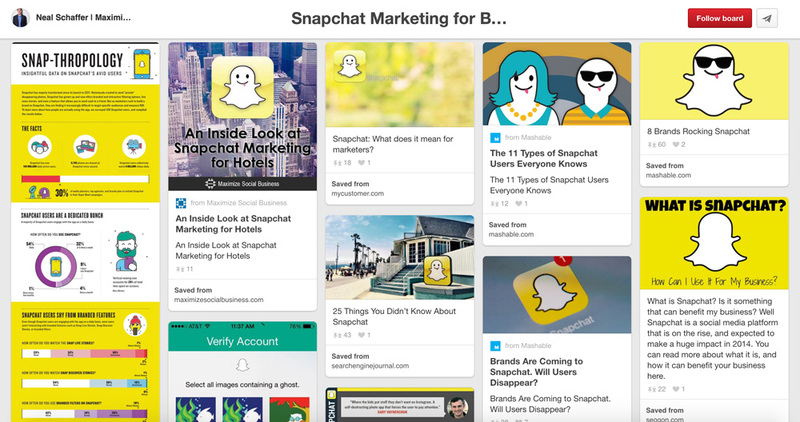 Have you heard about Blab and Meerkat? This board will help you to master them. 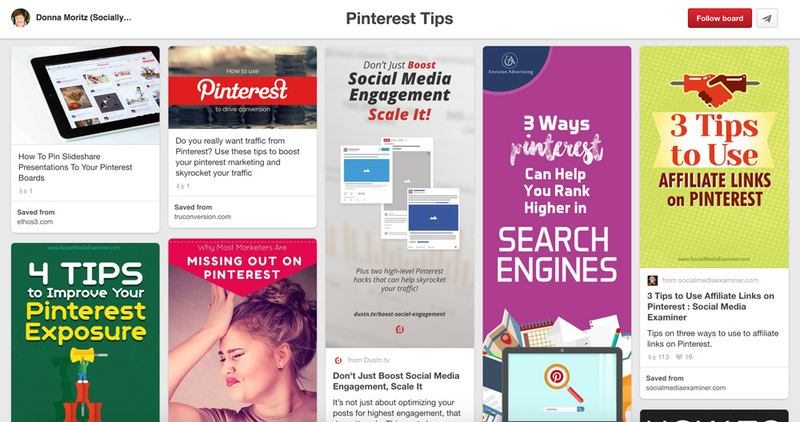 Pinterest board from Envizion Advertising. Instagram Marketing can take your small business to entirely new level. Effective social media marketing based on relationships. It involves the conversation with your audience and takes an effort to harness the impact and realizes the benefits that provide social media. Pinterest board from Ron Sela. Influencer marketing strategy is the means by which individuals increase their measured engagement and participation in online interactions. Online Influencers may be individuals or Corporations, which activities online provide them with the capacity to influence others and motivate them to perform actions that are related to their purchasing decisions process. Pinterest board from Suzi Holler. The board focused on metrics and ROI information on social media usage. 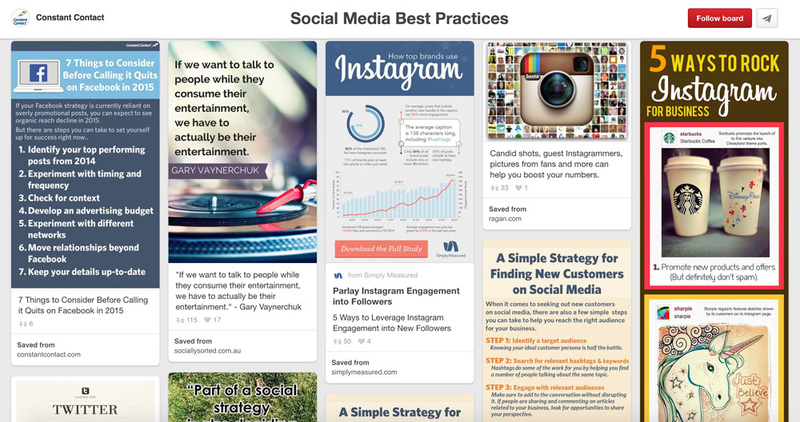 Strategies, best practices, and insights on how to rock your social media. Wow, you made it to the end. To be better in social media marketing, you need to keep up with the topic. Follow these guys to get the regular updates.